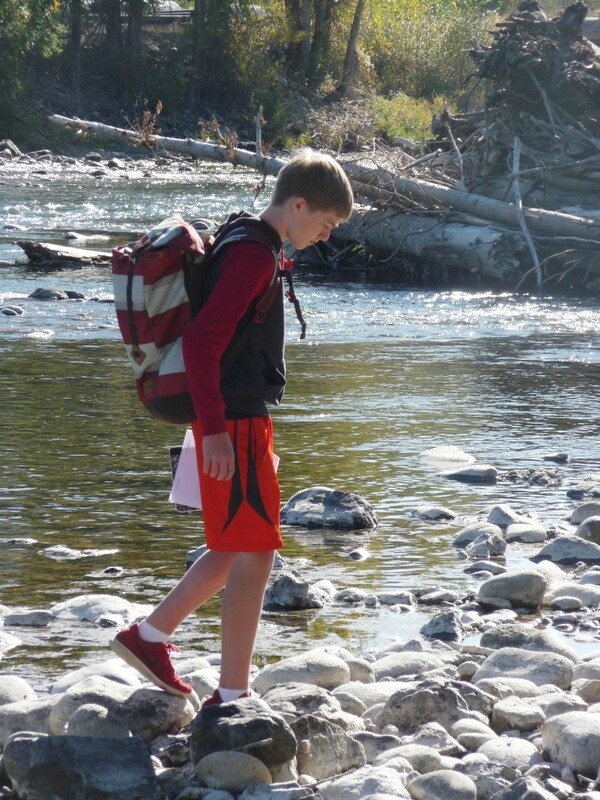 For a kid raised in the valley, the Methow River is as much a part of his existence as the air he breathes. He learns to skip stones across some of its flatter stretches.He may cross it several times riding the bus to and from school. He swims in it all summer, or floats down it on a tube, occasionally drifting into eddies or pausing on a small sandy beach. He watches it come alive in the fall with the salmon spawn. He may eventually work on it, guiding a raft or taking clients out fishing. The river is always there; sometimes a torrent, in dry years a trickle. But always, a whisper of the watery thread that links the eastern Cascades to the sea, five tiny towns strung along its banks like pearls on a cord. It was to this river that Liberty Bell High School 10th graders traveled in the fall to explore the poetry of place. 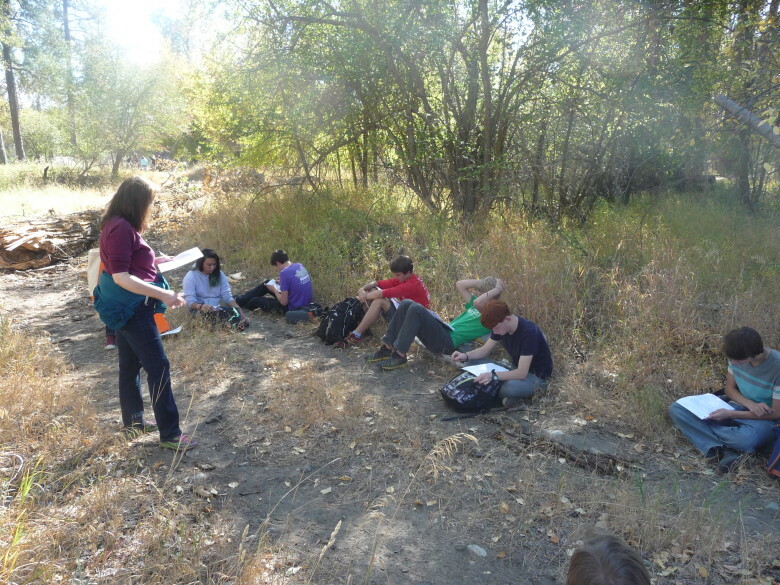 Guided by William Stafford’s Methow River Poems (read more here), students worked with teaching artist Cindy Williams Gutierrez to develop a concept of sense of place and to write poems in response to a particular place. The Methow River was one William Stafford’s special places; the students reflected on their own favorite spaces–a lone tree, a grassy meadow, an icy waterfall. 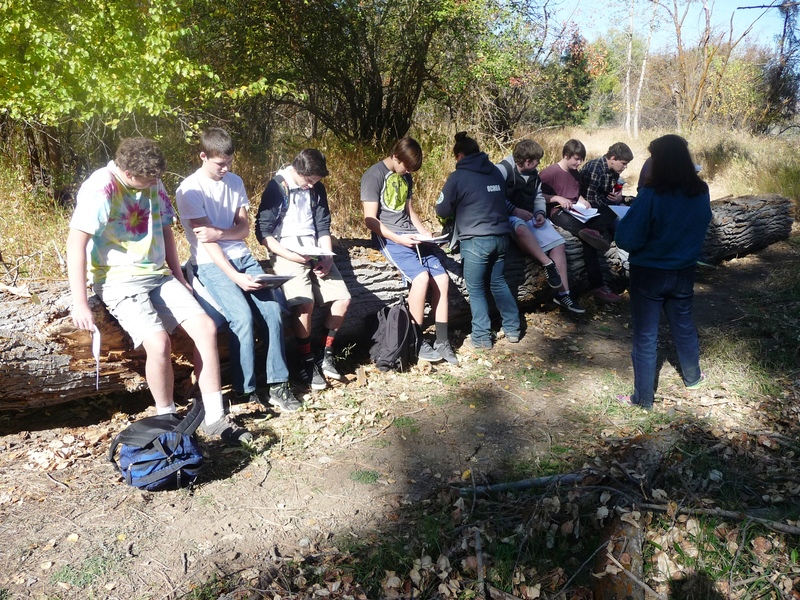 In exploring the poetry of place, students learned to use techniques such as alliteration, anaphora, assonance, and repetition in their poems, as they worked with personal narratives, imperative poems, concrete poems (poems whose meaning is conveyed through shape), and other forms. This art residency was brought to students by Methow Arts’ Okanogan Region Arts Education Partnership. The partnership serves more than 5,200 students and 370 teachers across Okanogan County with arts programs in classrooms in the Omak, Okanogan, Brewster, Pateros, and Methow School Districts, and in the Paschal Sherman Indian School. Project sponsors include the Public School Funding Alliance, the Methow Valley Fund of the Community Foundation of North Central Washington, the Methow Valley School District, the National Endowment for the Arts, and ArtsWA. Unicorns and Alligators and Turtles, Oh My!